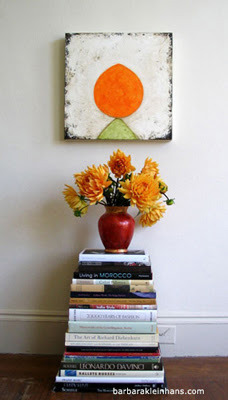 The one artist that inspires me is: Lynne Perrella. Her interpretation of mixed media art is true to the term-“mixed media”: Paper arts, dimensional collage, fabricated dolls, …the list goes on! Her use of color with splashes of paint, layers of paper and texture is always fresh and inspiring, and very much appeals to me. 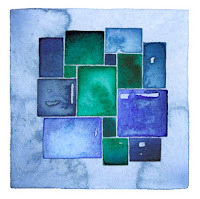 She always seems to find that spark of an idea in the simplest of things (even from a scrap of paper on her studio floor! ), and is always willing to share through her creations. But I have to mention her writing as well. Reading a Lynne Perrella account of one of her art adventures is almost as good as being there! She uses words like paint on a canvas, and her well never seems to run dry. Lynne’s incredible warmth is evident in both her physical art and in her writing. the French photographer Sarah Moon or the Canadian painter, Betty Goodwin. Andy Goldsworthy because of the unique way that he creates and interprets from nature. 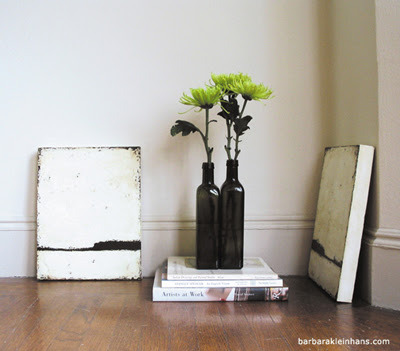 Bridgette Guerzon Mills is very inspiring! She is also a very sweet and humble person. I was fortunate enough to meet her in person when she exhibited here in Florida. there are so many but probably the one who got my interest in jewellery would be Susan Lenart Kazmer. Traci Bautista is my journal guru. Shepherd Fairy, his spray paint techniques are the best. Robert Banks..aka "Banksy". Not only are his stencils brilliant, he includes Brave political statements. Most people are SO afraid of taking a stand and offending. Sheesh. Not Banksy, my hero. Can't name just one, but one architect/artist that inspires me the most is Anton Gaudi !!! It's tough to pick just one as there are so many who inspire me... the first talented artist who comes to mind is Australian artist, Judy Wilkenfeld, she is always an inspiration to me. CW Slade...I have known her since we were teenagers and she's a true artistic soul that works from the inside out. Anne Grgich. She is generous, big hearted and a fountain of joy. I am very inspired by Huguette Caland not only her artwork but her design ability and lifestyle. She is in her 70's and has seemed to find a balance in her work and life. So It seems. Varujan Boghosian. He is an aging assemblage artist who lives in New England. His mysterious, poetic, found-object sculptures have a simplicity and restraint that I aspire to. Do I have to choice just one? Jim Houser comes to mind first. Sulea Lee - she's so modest about her incredible talent, and seems almost surprised when a piece turns out brilliantly. Cezanne. His colors, his shapes and his designs. 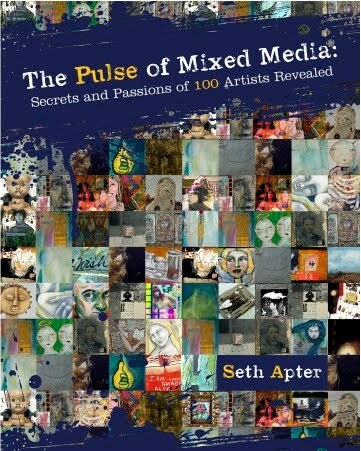 Right now I'm into learning more about artists who are involved in graphics. I adore David Carson who began the wave (pun intended, he's a surfer too) of cool layered typefaces over abstract photos, and is given the distinction of making popular 'dirty fonts'. I'm new to the digital process of creating and find the adventure extremely satisfying as I stumble through teaching myself how to use all the Photoshop tools. Gustav Klimt. Klimt paintings are a wonderful blend of traditional and modern - figurative and non-figurative. The patterns and compositions are mysterious, sensuous, and so refined. I fall into his work and can admire the detail for hours. I can't, just CAN'T single one out. There are so many and my mind reels, bouncing from one to the other. What I CAN say is that I covet artists who not only create beauty but also live it. Currently I am on a sugar high from the beauty that is bloglandia. My feedlist overfloweth! Hilary Williams. Her work is just beautiful, and when I saw it in person for the first time in San Francisco, I stood there for what seemed like hours admiring it. way too many to name one. i draw inspiration from so many. Antoni Tapies because of his use of color, textures, and abstracted images. Blue and Ochre- it hasn’t changed since True Colors was published! 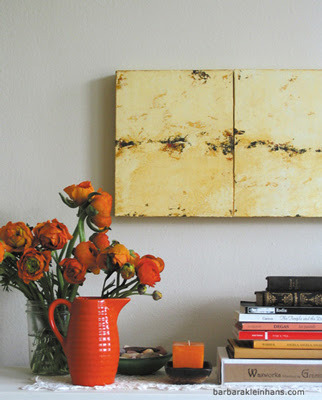 I have always loved colors in the gold tones, amber and ochre. I use them as a neutral base much of the time. Metallic Sage! A year ago I would not have touched metallics and now I can't get enough of them. The more unusual and/or unexpected color - the better. RED. Red has had my attention for a few years now. Funny that it's opposite of my former favorite color, green. Black! I know, that isn't a color, but it is the most functional to me. It is old, it is light and dark at the same time, it is skinny (when I wear it), it is accent and it is prominent. It is all colors to me! Golden's Quinacridone Gold. I have one tube left. *sigh*. and My.Yahoo where I keep a list of links to favorite comic strips. I guess I answered that when I spoke about the band forum. I do love to troll around on Amazon. It's fun to look up a book then follow the recommendations and end up in a category of books you might never have discovered. Tuscan Rose. I spend tons of time working on my site and when I am done I am too tired to go anywhere else. Etsy. great handmade, renegade shopping that will one day include ME if I ever get around to it. flickr is an amazing photography community. Whether you are a photographer looking to share your creativity with others or you enjoy looking at lots of interesting images, flickr has something for everyone. Ebay – always on the hunt! Lin Dunbrack a wonderfully talented assemblage artist who creates art from found objects. My friend J R Compton's site, Dallas Arts Revue about Dallas art and Dallas artists, an admittedly short subject. my own- since I've been working on it A LOT lately. other than that Design*Sponge. I like the British Library's website . They have such an amazing collection of manuscripts and texts. Some other UK sites I like are: Selvedge, Crafts Council, Banksy, and Book Art Bookshop. Okay, I just picked the one I have visited the most this past week. I love quotes of all kinds and here is where I linger for way too long: ThinkExist.com It is one of the best, in my opinion for great quotes! if I had to hone in on just one, I'd have to go with flickr. Eye candy GALORE! My current go-to website is my own. I don't hang with web-sites any more now that I've discovered blogs. I'm more interested in what artists have to say than in looking at their work without any commentary. The blog fleshes out the work for me. hmmm...I don't think I have a go-to website...does the Google search page count? I would have to say Google because of Blogger, the search engine, Picasa2,and Google Earth. Besides, how many websites have become verbs? Michelle Ward and How about Orange? My feedlist is topping over 100 sites. But if I had to pick "just one" it'd be my son's: Cliff Worden-Rogers He's on a cross-country adventure for the next 5 months and blogging about all he's up to. There are many blogs that I visit regularly and they range widely from artistic to entertaining to serious. I do love ParisDailyPhoto because it keeps my world from getting too small here in San Francisco. LA Dispatch by my compadre Mary Ann Moss. She's the bomb! I really haven’t visited many blogs but intend to try to change that. I certainly see the appeal of being able to keep up with what’s new in an artist’s life on a more personal level. Of the few I have visited, I very much enjoyed Michelle Ward’s blog. I am not very good at blogs. But I would have to say The Altered Page. I'm embarrassed to admit it, but I can't live without Go Fug Yourself. Since my initial post, a number of artists have asked if they can be a part of The Pulse. If you would like to participate in this survey, email me (link in the upper right corner of the blog) and I will send you all 7 questions. At the end of the original survey, I will add one extra post with all the additional answers and artist links. Angela Cartwright and Sarah Fishburn have taken zines to a whole new level. 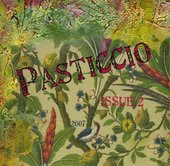 In fact, they describe their publication Pasticcio as a QUARTZ - QUality ART Zine. And quality it is! They have released two issues so far and the third is due out in March/April. There are so many aspects to Pasticcio which make it special. It is an 8.5 X 8.5 full color glossy that is almost more book than zine. The first issue has 52 pages and the second issue has 72 pages. The quality of the photography, lay-out and design in Pasticcio is top notch. Pasticcio is loaded with content and there are some wonderful surprises inside. For example, the issues include full-page, color photographs of a variety of artwork from many different artists, artist interviews, book reviews, movie quips, quotes and wordplay, recipes, product reviews, and so much more. It really is a pasticcio -- a work produced by borrowing fragments, ingredients, or motifs from various sources; a potpourri. 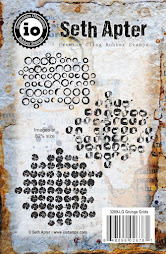 This zine is a collaborative effort from two extremely talented artists. I can't wait to open the pages of the next issue! 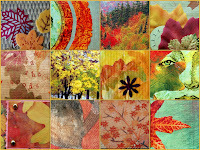 In October of 2006 I made this Autumn Colours Deco and sent it into the world for others to complete the pages as part of a Yahoo art group. 15 months later it came back to me, ironically on a 60+ degree New York City day in January that felt much more like autumn than winter. The book was filled with handmade pages depicting the vivid colors of autumn -- rich rusts, oranges, browns, golds, greens, and yellows -- and was completed by artists in the United States, West Indies, France,and Norway. This mosaic image includes details from the pages. Thanks go out to Melody, Linda, Mishko, Jenny, Camille, Virginie, Karoline, and Pat for their creative work. There is a huge group of talented artists in the blogosphere, all of whom have their own special style and unique approach to art. I thought it would be amazing to pool their collective talents and be able to share this information with everyone. So I have contacted a number of artists and asked them to answer 7 questions as a way to take the pulse of the artistic community. The responses I have received have been varied, fascinating, creative, and even a little bit surprising. Learn more about your favorite artists, discover some new ones, and add to your list of must-see blogs and websites. Beginning Thursday January 24th through Friday February 1st, I will post all the answers to one of the 7 questions on each weekday. I hope you will find this as exciting and fun as I have. My plan is to make this a regular part of my blog and ask 7 new questions every 6 months. I would love to have as many people participate as possible, so if you are an artist and would like to be included in this survey, please email me using the link at the upper right hand corner of this blog. I will send you the questions to answer and also include a link to your blog and/or website on all these posts. See you on the 24th! Of the many pleasures of blogging, one highlight has definitely been "meeting" so many creative, generous, and like-minded people. There is truly a spirit of community and a sense of camaraderie that exists in this cyber world. Part of this connection is created through the unique conversation of comments. As every blogger knows, getting comments is always special. I definitely appreciate the fact that not only do people chose to visit my blog but that some visitors take the time to leave comments that are so supportive, encouraging, and informative. The feedback I get from everyone is so inspiring and it lets me know that what I am creating is valued by others. And I love to leave comments as well, partly because I feel the need to express my thoughts when I read a post or see a piece of art that touches me and partly because I know how valuable comments are to each blogger. The generosity of this community is evident in a blog interaction I recently had. 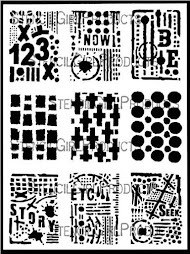 I had just discovered the work of David Castle and his blog. He works with watermedia and creates amazing abstract work that is inspired by the mountains and urban terrain of both Colorado and the places he has traveled to. I was really taken by the beautiful colors he uses and the composition of his paintings. I had left a comment about one of his pieces, Peace on Earth, which I particularly liked. In response, David made the amazingly generous offer of sending the painting to me. He said that he wanted to "share the peace" with someone who left a comment and I was the lucky recipient. The work is pictured here and the colors of this painting are even richer in person. Thanks David. And thanks to everyone who visits The Altered Page and in doing so, leaves a little bit of their own spirit and energy on these pages. 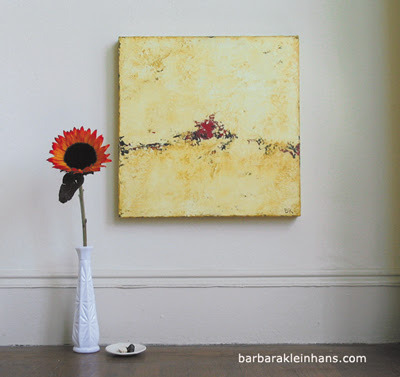 Barbara Kleinhans is a San Francisco based artist who creates beautiful, textured paintings. 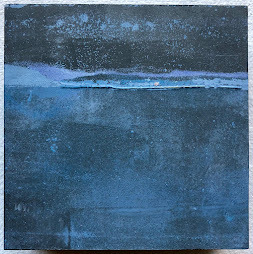 Her experiences as a child growing up on a farm in Wisconsin are evident in her work, which evokes a sense of expansiveness and wide-open space. 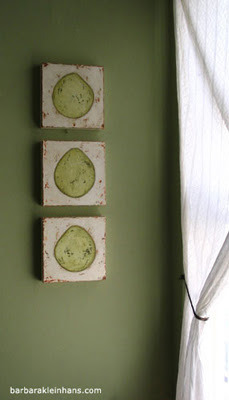 Her paintings are rich in depth and layer and are minimal in color. 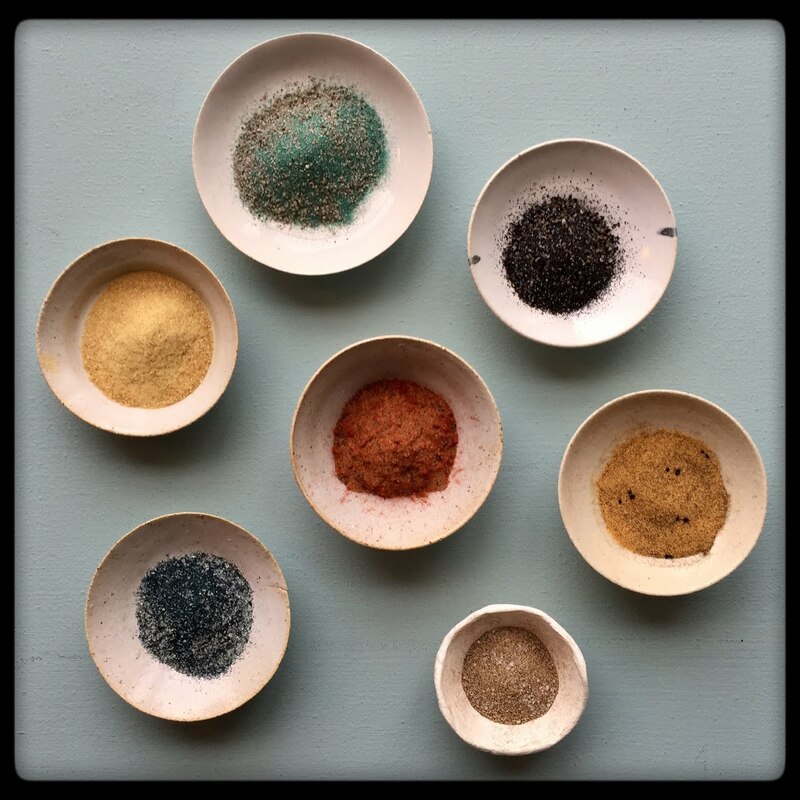 As she notes on her website, her work is informed by "the boundless possibilities provided by a bunch of dirt-covered stones; the feeling of rough barn floors and prickly grass under my bare feet; of feeling contained within my surroundings." And the feeling of such simple sensations are captured so effectively in her paintings. She primarily uses acrylics to repeatedly build layers to create a textural quality that is rich. complex, and captivating. 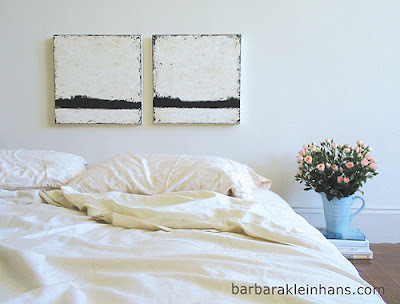 And I love that her website presents images of her art in such an inviting way.